The Christian longing to share anguish, fear, gratitude, and awe has found expression in many forms of prayer, beginning in Scripture and the practices and words of Jesus. Over the centuries many fruitful approaches to prayer have taken hold, but often there is a certain unease about what is right or what is best. In this welcome and welcoming book, Fr. 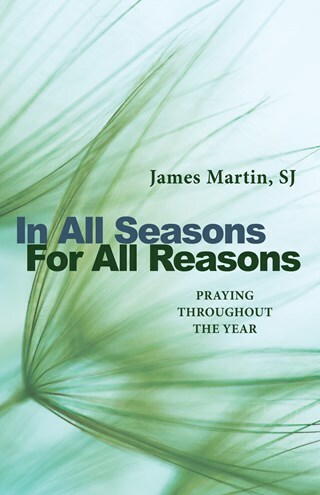 James Martin eases these concerns with thoughtful, practical encouragement about prayer in all of its forms. In All Seasons, For All Reasons is drawn from "Teach Us to Pray," Fr. Martin's very popular monthly column in Give Us This Day. James Martin is a Jesuit priest, editor at large of America, a Consultor to the Vatican's Secretariat for Communication and author of many books, including Jesus: A Pilgrimage, The Jesuit Guide to (Almost) Everything, and Seven Last Words.